Venture out of the city with trips to Yanchep Lagoon Beach (in Yanchep), Quinns Rocks Beach (in Quinns Rocks) and Fremantle (Bather's Beach, Fremantle Markets, & more). Pack the 21st (Wed) with family-friendly diversions at Adventure World Perth Australia. Dedicate the 24th (Sat) to wine at some of the top wineries in the area. There's still lots to do: admire the natural beauty at Kings Park & Botanic Garden, contemplate the waterfront views at Swan River, steep yourself in history at The Perth Mint, and kick back and relax at Warnbro Beach. 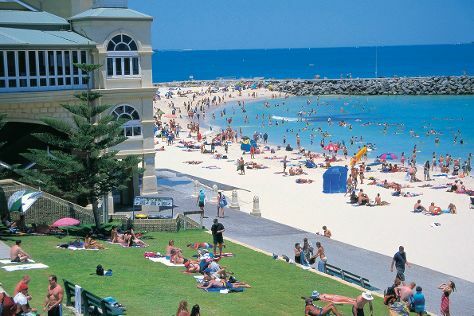 To see ratings, reviews, traveler tips, and other tourist information, read Perth trip planner . In November, plan for daily highs up to 33°C, and evening lows to 15°C. Finish your sightseeing early on the 29th (Thu) so you can travel back home.